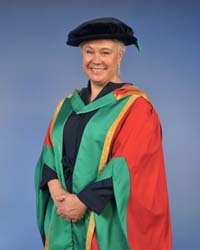 Honorary Degree of Doctor of Arts in recognition of her significant contribution to contemporary theatre. Emma is the proud and excited artistic director of Wise Children, her new theatre company. As artistic director of Shakespeare's Globe from 2016 to 2018, she directed Romantics Anonymous, Twelfth Night, A Midsummer Night's Dream and The Little Matchgirl (and other Happier Tales). For the previous 20 years, Emma worked for Kneehigh Theatre as an actor, director and artistic director. Her productions for Kneehigh include: The Flying Lovers of Vitebsk, Tristan & Yseult, 946: The Amazing Story of Adolphus Tips, The Wild Bride, The Red Shoes, The Wooden Frock, The Bacchae, Cymbeline, A Matter of Life and Death, Rapunzel, Brief Encounter, Don John, Wah! Wah! Girls and Steptoe and Son. Her other work includes the West End production of The Umbrellas of Cherbourg: Oedipussy, for Spymonkey; The Empress, for the Royal Shakespeare Company (RSC); and An Audience with Meow Meow, for Berkeley Repertory Theatre.